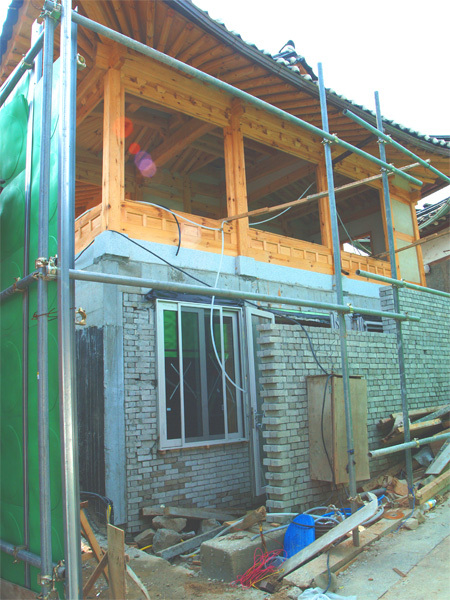 These photographs, taken in 2001, June 2004, and and July 2005, show the so-called "restoration work" of the hanok at Kahoi-Dong 31-95. Kahoi-Dong 31-95 lies in the S1 preservation district of Bukchon where, according the the government, there was the highest concentration of traditional hanoks in good condition in north Seoul. Kahoi-Dong 31-95 was extensively photographed during a government survey in 2001 and found - like other "S1" hanoks to be in very good condition. The original hanok had been built during the 1920's using the traditional materials and architectural styles that had been commonly used during the closing years of the Choson era. 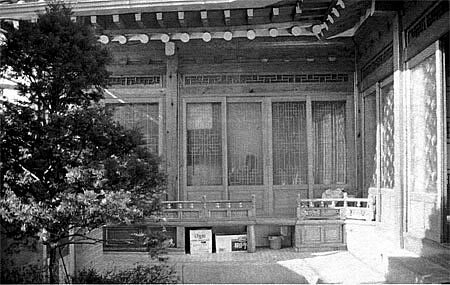 Despite its age, the hanok remained in a structurally sound condition and had been home for Korean family throughout its life - at least until restoration work started. 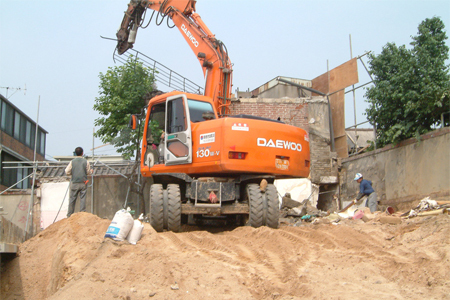 Although the "restoration" involved complete demolition of the original hanok, this was nonetheless approved by the Seoul Metropolitan Government and the Chongro-gu district office. Both, also approved plans for the new two-storey building that took the original's place, including the use of such non-traditional materials as reinforced concrete. An honest reading of the Bukchon Restoration plan might leave the reader with the view that such work was expressly prohibited. Not so, say the authorities who claim all this work was totally in keeping with the spirit of the plan and within their interpretation of the applicable laws and regulations.